Corrosion-resistant metals and alloys to keep your fuel products where they should be and ensuring safe transfer. Cenflex provides you with a wide variety of corrosion-resistant metals and alloys – Monel, Inconel, Hastelloy, Teflon, and bronze – that ensure your application stays connected, pressurized, and environmentally safe. Custom-designed around your petrochemical, biodiesel or ethanol application, our fail-safe braided flexible metal hoses are resistant to high pressures and temperature extremes – keeping your fuel products where they should be and ensuring safe transfer of all fuels. 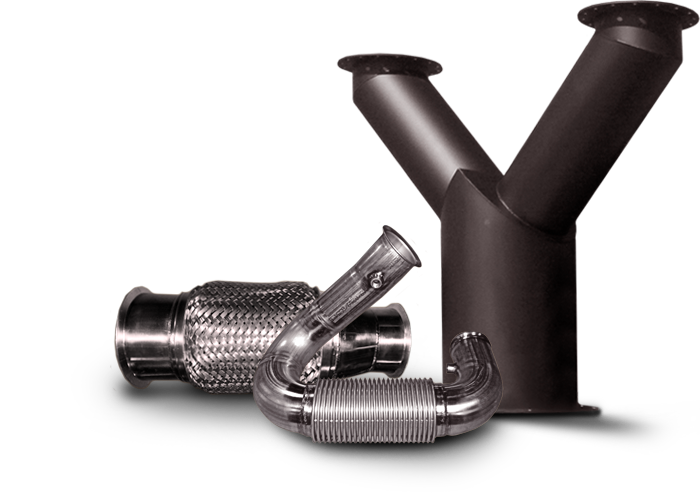 Cenflex metal assemblies, hoses, expansion joints, exhaust systems and flex connectors are custom-designed to meet and exceed the physical and operational specifications of your system. By reducing the physical stressors on your system – extreme temperatures, high pressure, friction, vibration, seismic disturbances and corrosive materials – we help you increase system efficiencies, safety, productivity and integrity.